Boracay Massage provides high quality, affordable, convenient, rejuvenating wellness therapies. 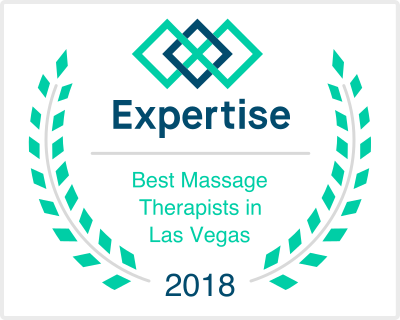 Our highly trained, licensed Las Vegas massage therapist team practices professional therapeutic massage modalities and draping techniques. Our rates are affordable, so that you can make a deep tissue massage or other treatment a regular part of your lifestyle. We specialize in Couples massage packages, one of the most popular type of massage in Las Vegas. We are conveniently located 10 minutes away from the famous Las Vegas Strip. Boracay Massage focuses on therapeutic Eastern and Western techniques to integrate both body and mind. The intention for every session is to have a culture of respect for the individual, nourish the soul, and provide a compassionate touch that allows the mind and body to relax. The goal is to use multiple modalities to get the best results possible, ensuring that each session is unique and effective. Boracay Massage strives to help all clients to maintain an optimal level of wellness and looks forward to work with those committed to their own health and well being. Above all, each Las Vegas massage therapist at Boracay Massage values your health and comfort. We provide a wonderful, relaxing ambience and perform therapeutic deep tissue massage and other treatment guaranteed to soothe your senses and do wonders to your entire being. Boracay Massage ensures that your body, mind and soul find the peace, relaxation and renewal they desire. At the heart of each massage is the honest gift of caring and compassion that we offer. Boracay Massage clients can be assured that they will leave a session feeling nurtured, relaxed, and met with respect and compassion. -Please arrive 15 minutes prior to your appointment as there is a health questionnaire that needs to be completed. -It is not recommended to get massage treatments while you are under the influence of drugs or alcohol. We reserve the right to refuse service to anyone. -All client information is and will remain confidential. -The office is non-smoking facility. -Sexual misconduct, or any inappropriate language/ actions will not be tolerated. The session will end immediately and the client will be charged the full price. The client will then be asked to leave and not return if such an incident takes place. -Scheduling Appointments: All treatments must be reserved by valid credit card, pre-payment for services may be paid by credit card or cash. No checks will be accepted. -Cancellation Policy: To cancel an appointment, you must give us a 24 hour notice. Your credit card will not be charged if you cancel 24 hours prior to your scheduled appointment. For late cancellations ( less than 24 hours notice prior to scheduled appointment ), a 50% fee of scheduled service price will be charged to your credit card. If you do not call to cancel your appointment or do not show up for your scheduled appointment, you will be charged full price for the scheduled service. -Late Arrivals: Please plan to arrive on time to fully enjoy the time we have reserved for you. If your late, that time will be deducted from your total treatment time. This does not change the amount owed for the service. We need to accomodate subsequent bookings punctuality and a timely manner. -Gift Certificates: Gift certificates are perfect for any occasion. They may be purchased for any of our individual treatments or packages. Please be aware that there will be an expiration date on the gift certificate(s) and that they are only good for 6 months. There are no refunds for Gift Certificates. -Gratuities: Gratuities are greatly appreciated and are solely at your discretion. -Method of Payment Accepted: Cash, and Credit/Debit cards.